Key Lime Pie is a well-known dessert from Key West (Florida, USA) made of a graham cracker crust. 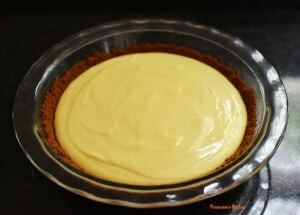 The filling is a simple custard made of egg yolks, condensed milk, and key lime juice. This pie can be topped by whipped cream or meringue. 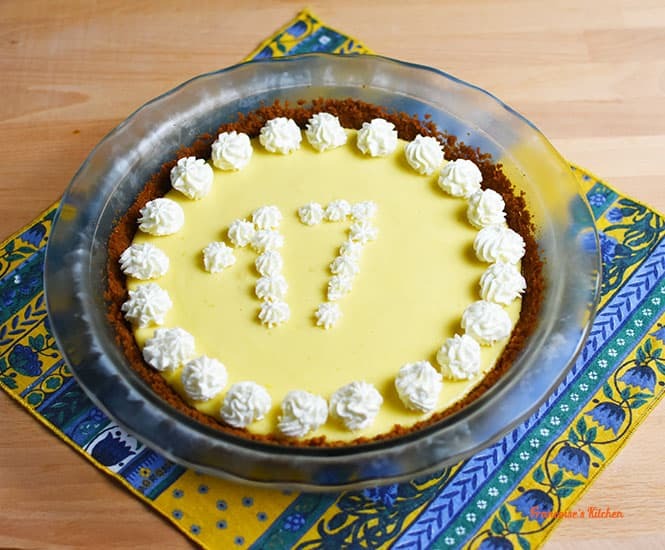 For my oldest son’s birthday, I made this Key Lime Pie, one of his favorite desserts. He really wanted the crust to be made of speculoos. 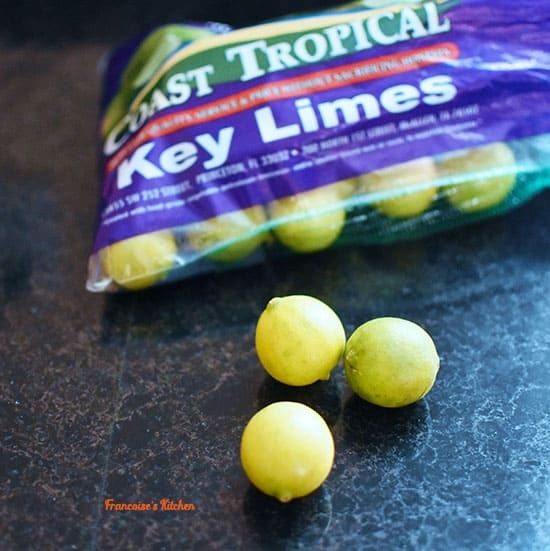 If Key Limes aren’t available in your area, they can be easily substituted with Persian limes. 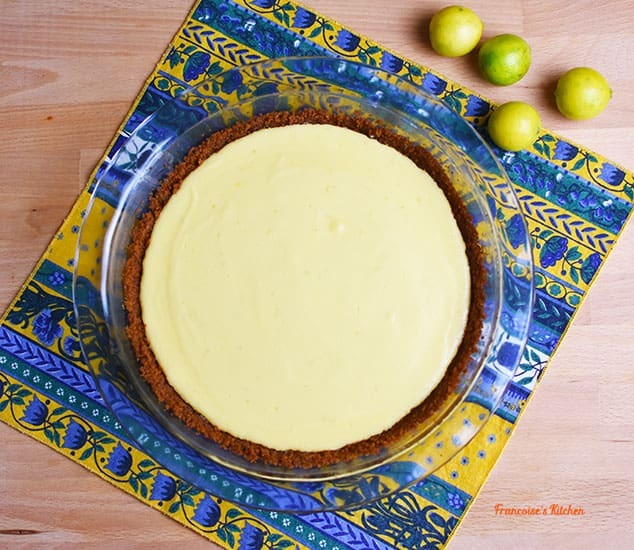 There is some debate over whether the flavor is the same, but in my opinion, after having tried both versions, my family and I prefer the slightly more acidic and aromatic flavor of the Key Lime. This difference is subtle, but it complements the pie well! 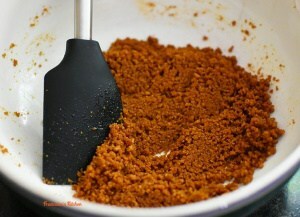 Place speculoos (or graham crackers) in a food processor and blend until coarsely ground. 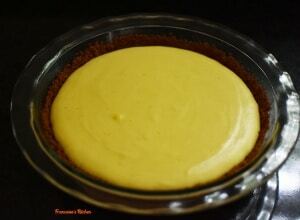 In a medium bowl, mix in speculoos crumbs (or graham crackers), sugar (only if you use graham crackers), salt, and melted butter until combined. 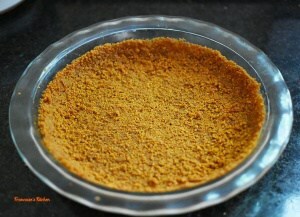 Press crumb mixture evenly and firmly over bottom and sides of a 9-inch pie dish. Bake crust for about 8 minutes or until set and lightly browned. Remove from oven and place on wire rack to cool while you make the filling. Zest the key limes. Squeeze all the key lime juice. In an electric mixer bowl with the whisk attachment beat the egg yolk until pale and fluffy (3-4 minutes). Gradually add the condensed milk and continue to beat until thick (about 3 minutes longer). Scrap down the sides of the bowl and then add the lime juice and zest. Whisk until well-incorporated. Bake about 10 minutes or until the filling is set. Remove from oven and place on a wire rack to cool completely before to put in the fridge at least 2 hours or overnight. When the filling of your pie is cold, put the bowl and the whisk in the freezer for 15 minutes to chill. Whip the heavy whipped cream with the sugar until stiff peaks form (do not overbeat). Spread the chantilly evenly over your pie or use a piping bag. You can serve the pie directly like this or put it back in the fridge for at least 2 hours so that the heavy whipped cream sets. 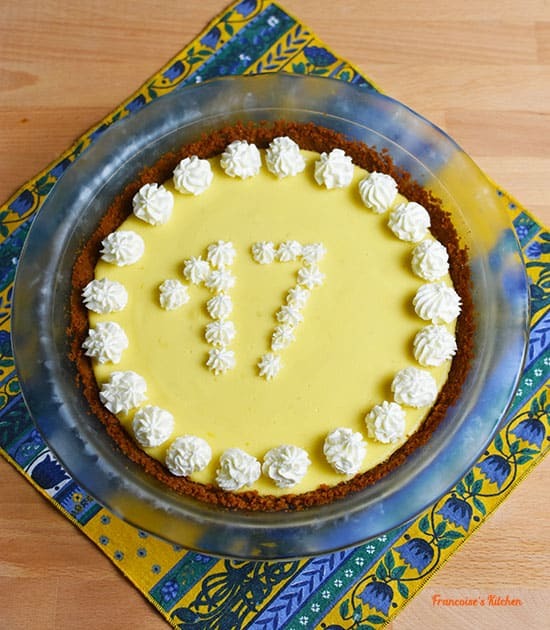 Be careful when you cut the pie; the crust is a little fragile and can fall apart. I recommend cutting with a small knife and cleaning your knife after every cut.